Joan Osborne's career has ranged from a million selling single, "(What If God Was) One Of Us", to a stint in the Grateful Dead. Throughout there has been a soulfulness to her work that makes her latest project no surprise. 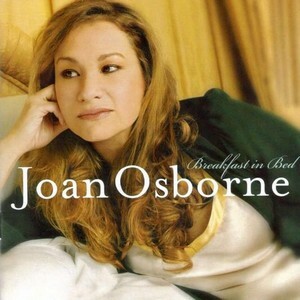 "Breakfast In Bed" is a respectful homage to the classic soul and R&B of the late 1960's and early 1970's. It was a time when the smoothness of Bill Whiters and Gladys Knight had a place at the top of the charts and Osborne recreates the period nicely with smartly chosen covers alongside a few originals inspired by the era. Her renditions stay true to the hits; perhaps a bit too true given Osborne's considerable talent. She has a voice that can go from silk to growl with ease and this CD would have benefited from a bit more of the later. You can hear a hint of what's missing on the CD's final track "What Becomes Of The Broken Hearted" recorded live as part of her wonderful appearance in the film "Standing In The Shadows Of Motown".